Property Portfolio Software Why A Profitable Property Portfolio Uses Software for Tenant Documentation? Running a profitable rental property portfolio requires a great deal of skill and commitment. It is not easy to manage tenant applications and your rental income. It is even the more strenuous when you have multiple rental units. How can you deal with these difficulties? It is easy to buy a property but managing and growing a profitable property portfolio is quite complicated. In the current economic climate, there is hardly any room for error. Property is very expensive and it requires maintenance to retain its value. Coupled with the financial commitments that property ownership brings with it, there is painful reality that many businesses and families today are struggling to make ends meet and their sources of income are vulnerable. There is a breather to all your tenant related problems. Tenant document management software will help you manage it with ease. Documents such as Tenant application forms, tenancy agreements, tenant payments and tenant welcome packs can be easily managed with the help of this software. Knowing your business inside out and investing in good Software for Tenant Documentation will give your business the edge. It’s not all doom and gloom. Good property management software will allow you to keep track of your tenants who are, after all, the source of your income. It also helps you to maximise and manage the money coming in and have control over your property related expenses. 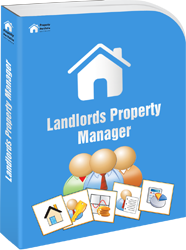 There are professional landlords who still believe that they can keep track of income and expenditure with manual systems or with basic spreadsheet and word processing models. They believe that they are saving money this way, but in reality they are not. With a bit of thought and some research, good landlord software will help you to maximise profit by controlling income and expenditure, it will save you time too. Better tenant document management will make it hassle free for you. It’s true that software can not do every thing for you. However, it can minimise the time and effort, which may have otherwise got wasted in managing piles of paperwork. It will also save time to develop your business, to network and to enjoy your business success. Financial control is the key to success. A good landlord package will show you where the money is coming in from and where the problems potentially lie. It will also show you where your money is going which in turn, can help you to prioritise and to decide where potential savings can be made. On top of this, it is vital to have good software for tenant documentation. It can alleviate a lot of the trauma and pain which is otherwise involved in managing all the necessary tenant paperwork. It can also provide you with information which will facilitate crucial business decisions. All you have to do is, input the figures in the software provided to you. Landlord software can also take the strain involved in certain mundane tasks like sending out notices and documents concerned with renewing tenancy agreements.